With an oral examination and x-rays of the mouth, Dr. Barbick, Dr. Bedi, Dr. Hamilton, Dr. Sybo and Dr. Watts can evaluate the position of the wisdom teeth and predict if there are present or future potential problems. Studies have shown that early evaluation and treatment result in a superior outcome for the patient. Patients are generally first evaluated in the mid-teenage years by their dentist, orthodontist, or by an oral and maxillofacial surgeon. Call Tampa Office Phone Number 813- 264-2286 with questions or to schedule your wisdom teeth removal consultation. At the time of your consultation, your specific situation will be discussed in greater detail. We encourage you to ask any questions you may have. If new questions arise after your consultation, please call our office at Tampa Office Phone Number 813- 264-2286 to speak to one of our patient care coordinators. 5 out of 5 stars based on 91 Wisdom Teeth Removal reviews. Having my wisdom teeth removal by Dr. Hamilton wasn't scary at all. Everyone was nice to me and made my nerves not so bad. After the procedure I was a little sore, but they were great for giving me instruction on how I can help myself get better. Very welcoming and caring environment, Dr. Hamilton was great! Fantastic staff and clean facility. Best dental experience to date. Thank you! Everything went extremely well, things were explained clearly. Staff was very hospitable. I had such a great and easy experience at Tampa Bay Jaw & Facial surgery in wesley chapel! 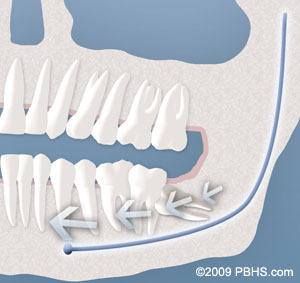 I had 3 wisdom teeth removed and it was so fast and painless i couldn't believe it! Thank you Dr. Hamilton and to the staff that did such a wonderful job! Overall experience was wonderful! I am usually very apprehensive about dental work but was very comfortable with the entire staff! Best dental experience I've ever had! Excellent experience! No one should fear this practice or the procedure, all went very well. I was educated about all that would be done, what to expect, and what would be any risks. There was no pain, and we were done in NO time at all. Highly recommend Dr. Sybo for the great care and gentle manner. 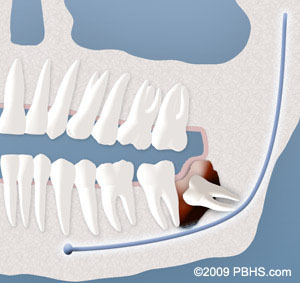 Dr. Hamilton was very professional and was a pro with my 16 year old during her wisdom teeth surgery. I came into doctor Hamilton's office in pain and wanting relief. His staff was very help and explain each part of my procedure and billing. answered all my questions. He and his staff is well educated. i would recommend him for services. Wish he could do general work. First time I could save I love coming to the dentist.